Lazar Berman Lazar Berman is a breaking news editor at The Times of Israel. Despite the signing of a landmark nuclear deal in November with the P5+1 world powers, and a moderate tone coming from President Hassan Rouhani and Foreign Minister Mohammed Javad Zarif, Iranian defense officials escalated sharply their rhetoric against the United States over the weekend. 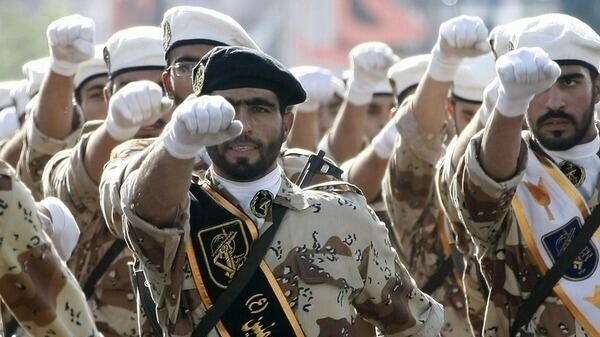 On Sunday, Iranian Revolutionary Guards Corps Navy Commander Ali Fadavi said that the US knows that its aircraft carriers in the Persian Gulf would be sunk if it launched a military strike on Iran. “The Americans can sense by all means how their warships will be sunk with 5,000 crews and forces in combat against Iran and how they should find its hulk in the depths of the sea,” said Fadavi, according to Fars news agency. Also Sunday, Iran’s Defense Minister Hossein Dehqan touted the Iranian military’s ability to respond to an American attack, Fars reported. “The Iranian Armed Forces are an intertwined and coherent complex that can give a decisive response to any threat at any level and any place under the command of the Commander-in-Chief,” Dehqan said in a ceremony marking the 35th anniversary of the revolution that brought the current Islamic regime to power. “The enemy can never assess and think of the range of the response given by the powerful and mighty Armed Forces of the Islamic Iran,” he added. On Friday, Iranian state TV ran a documentary featuring a computerized video of Iran’s drones and missiles bombing Tel Aviv, Haifa, Ben Gurion Airport and the Dimona nuclear reactor in a hypothetical retaliation for an Israeli or American strike on the Islamic Republic. Iranian drones and missiles are also shown in the film carrying out simulated strikes on the American aircraft carrier USS Abraham Lincoln, downing American aircraft and striking American military targets in the Persian Gulf.